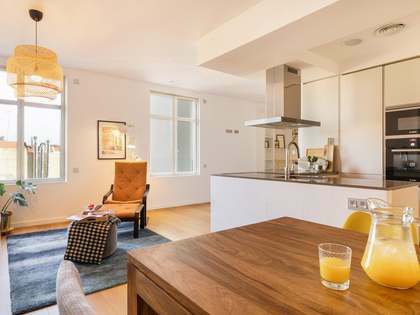 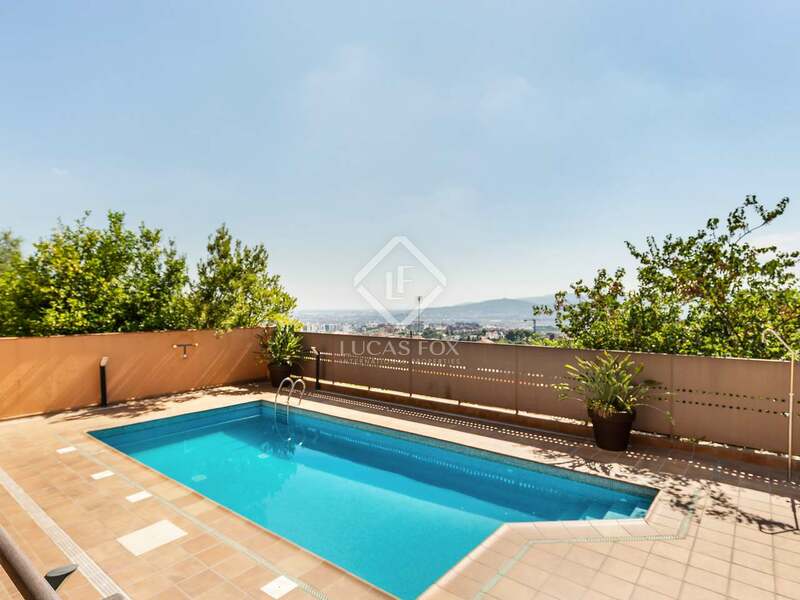 Superb 4-bedroom apartment with a terrace and incredible views, 2 parking spaces, a storage room and a communal pool. 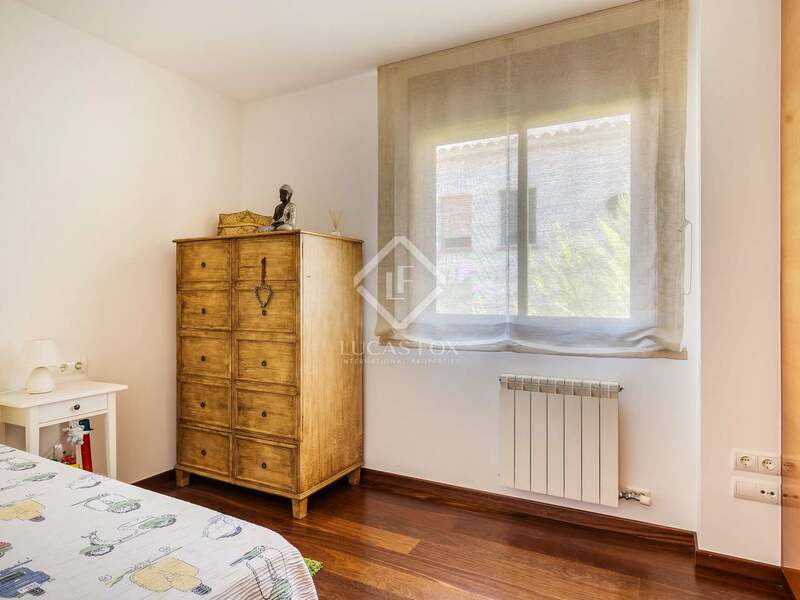 We find this excellent property in Sant Just Desvern, 10 minutes from Barcelona and 15 minutes from the airport. 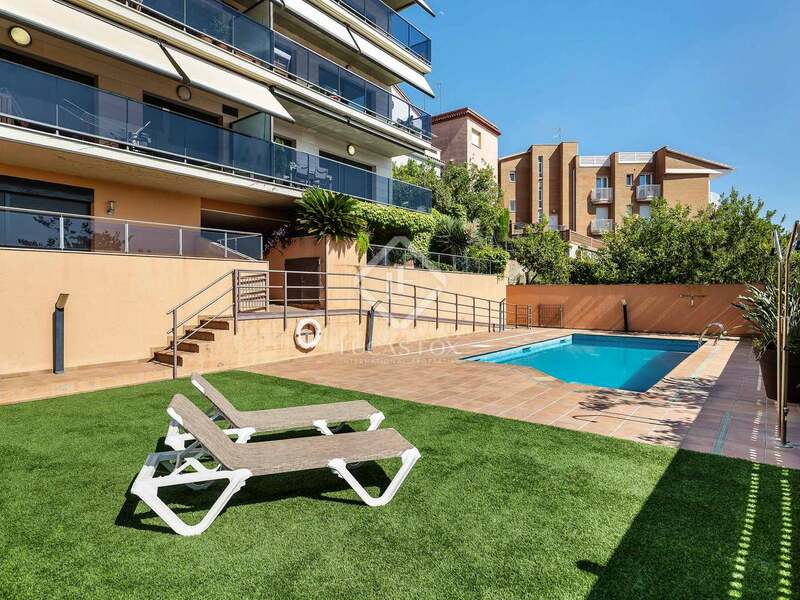 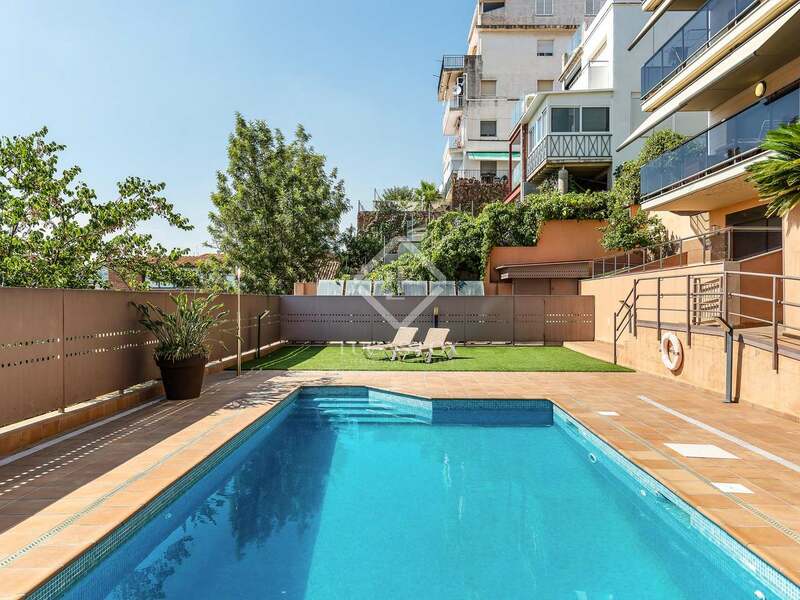 It is situated on the top floor of a modern building with a communal garden and pool and this particular property owns 2 parking spaces and a storage room within the building. 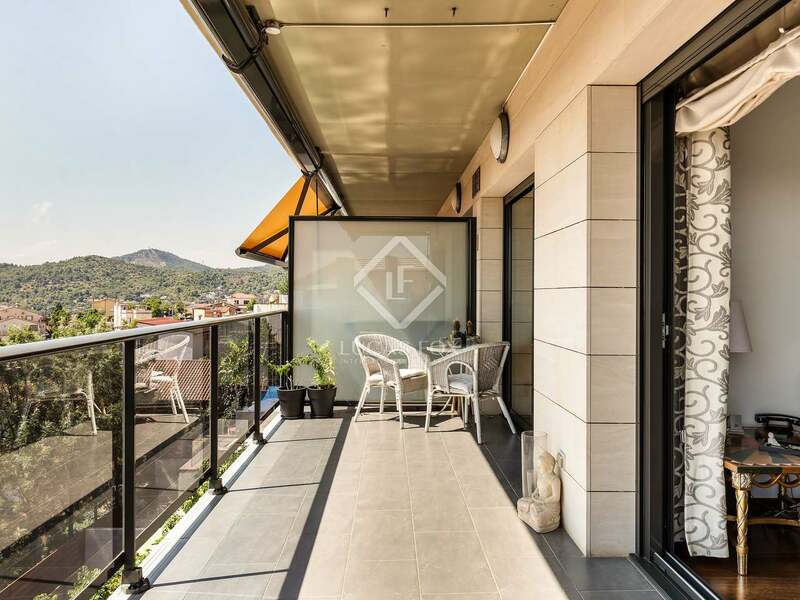 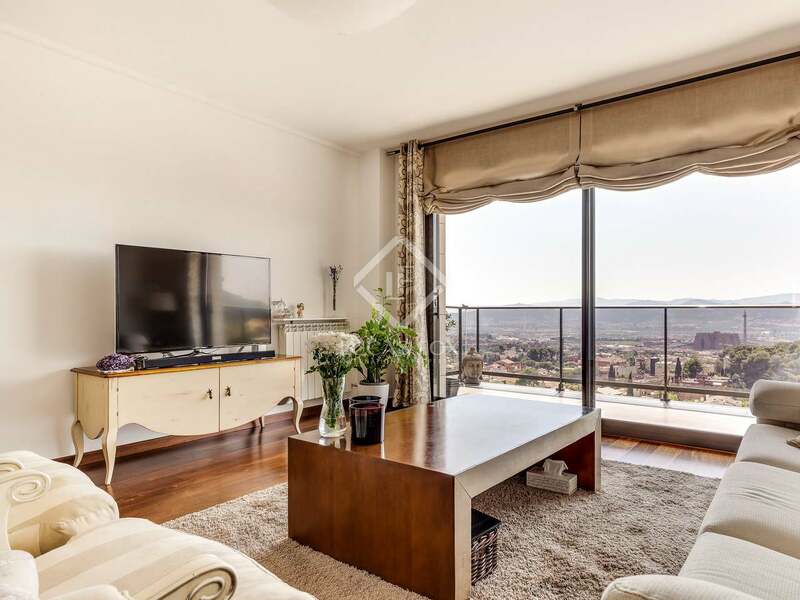 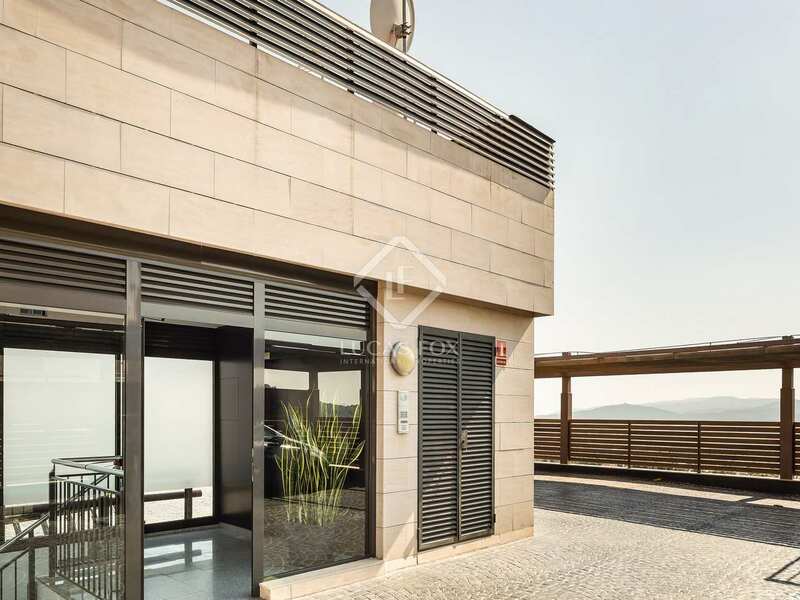 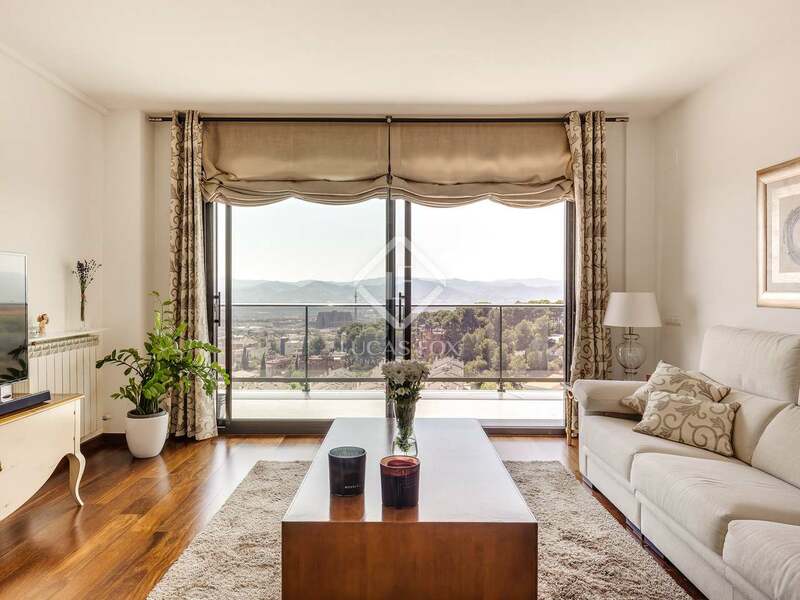 On entering the apartment of 128 m² we pass through the entrance hall and into the spacious living room of 30 m², which in turn leads to the wonderful south-west facing terrace of 14 m² with incredible far-reaching views across Baix Llobregat, from the sea to the hills; the ideal place to enjoy sunsets. 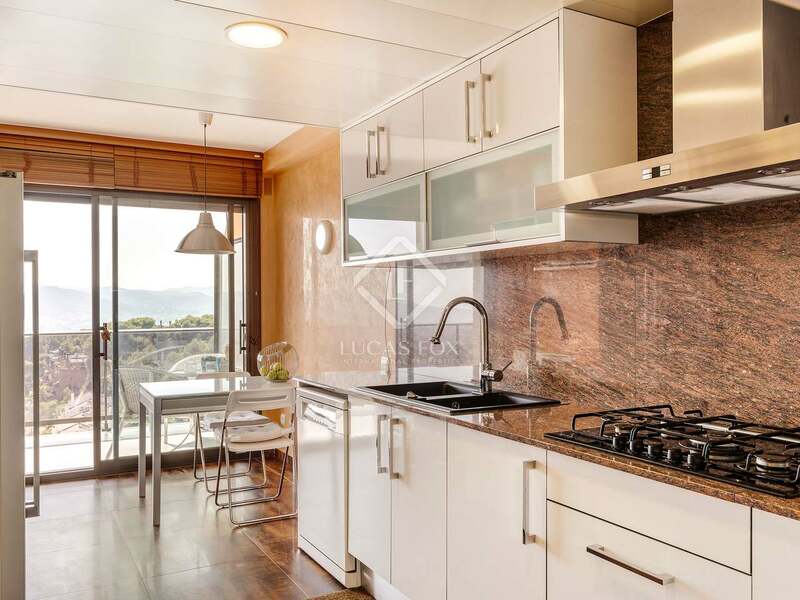 The dining area is connected to the fully equipped kitchen diner by sliding doors and here we also enjoy access to the terrace. 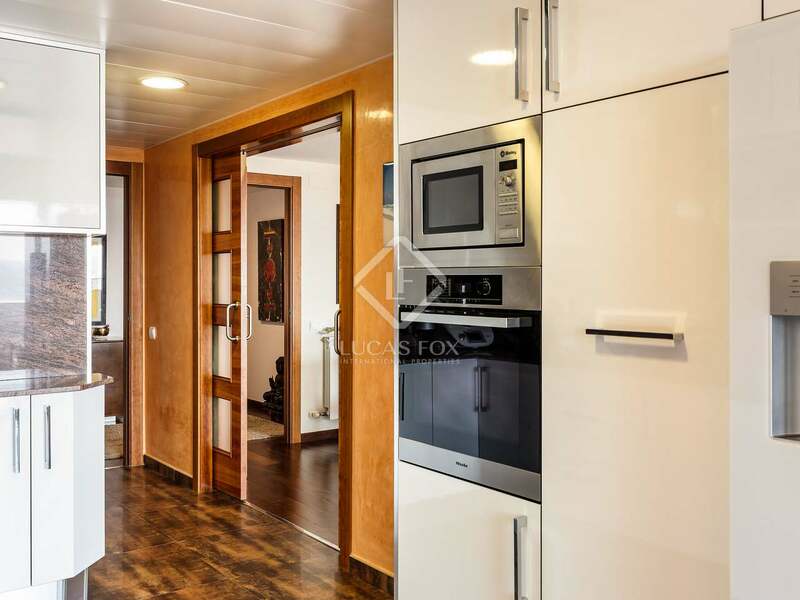 The apartment is detached on 3 sides and benefits from abundant natural light and good ventilation. 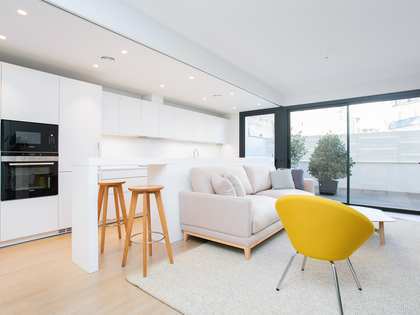 The day and night areas are well differentiated. 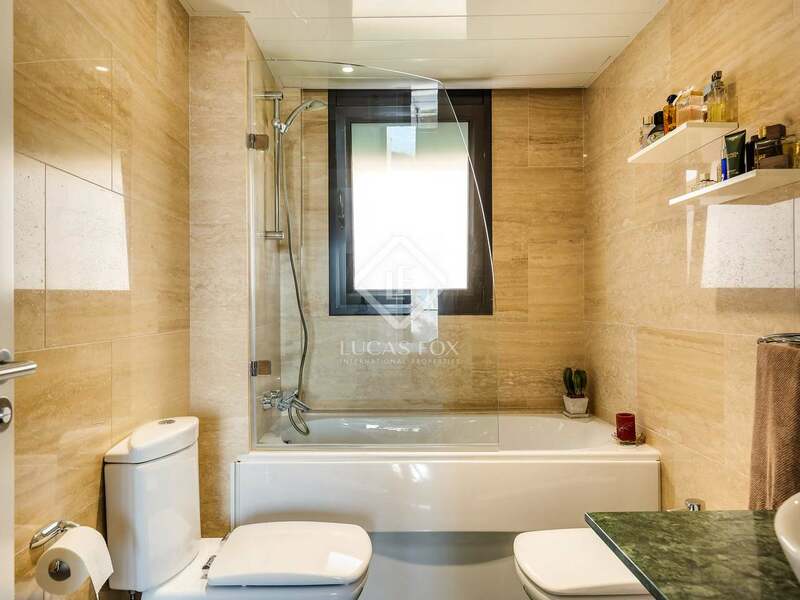 The master bedroom en suite enjoys access to a balcony, an area with fitted wardrobes and a bathroom with a jacuzzi bath. 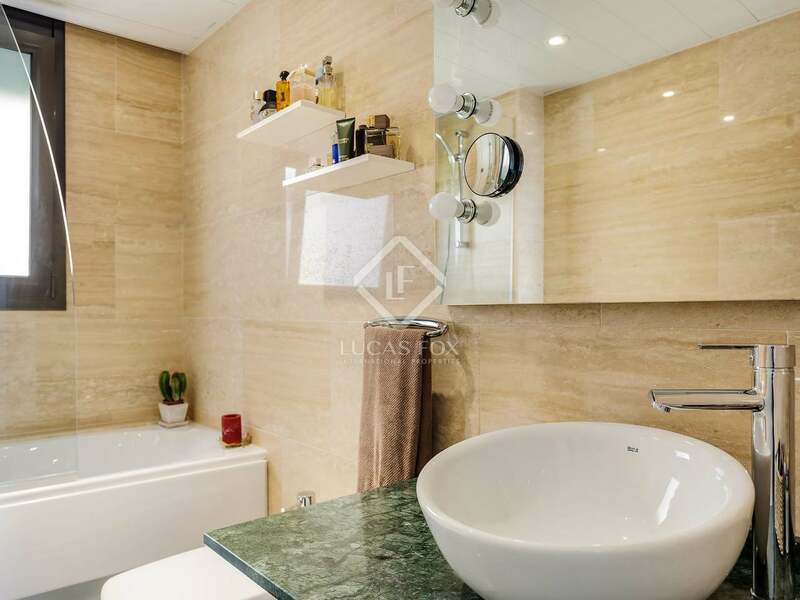 Moving on we find a south-east facing double bedroom with built-in wardrobe and 2 single bedrooms facing north east that share a bathroom with a shower that was newly renovated in 2018. 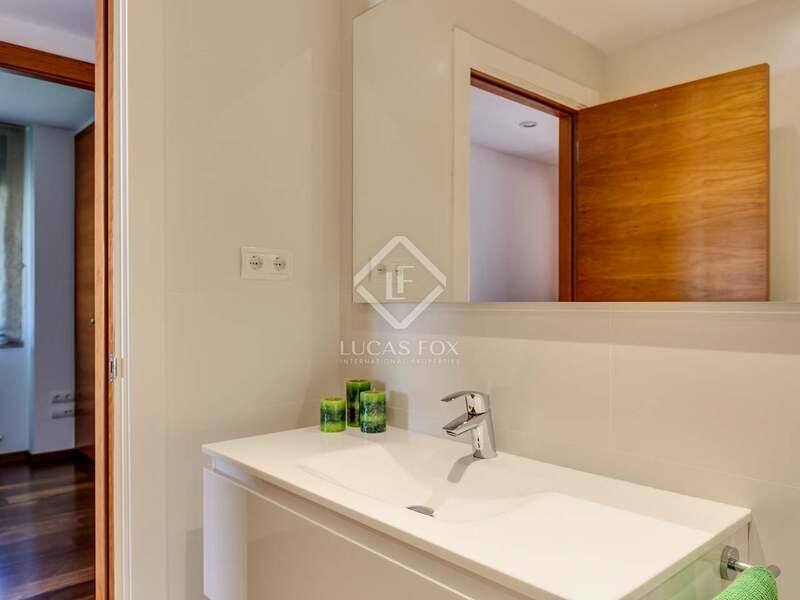 Finally there is an interior laundry room. 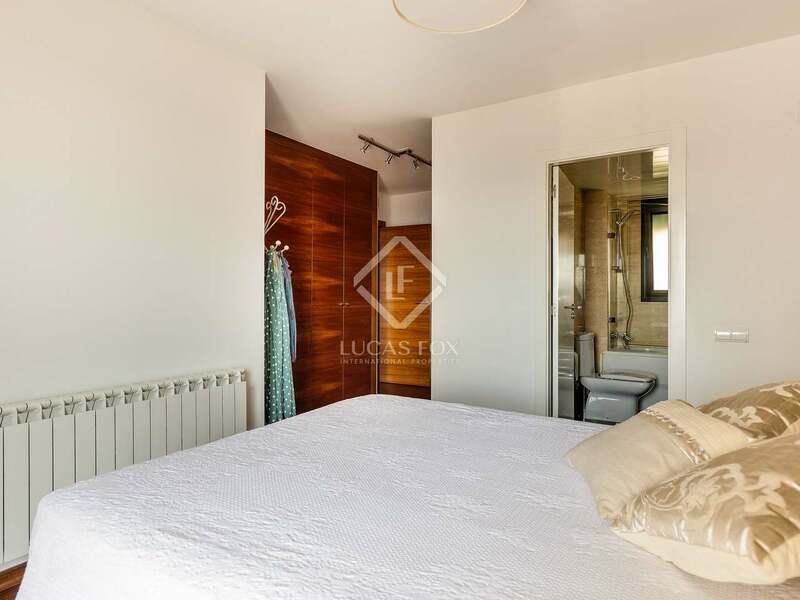 High ceilings, motorised blinds and solar panels for hot water are a few more good features of this wonderful home in Sant Just Desvern. 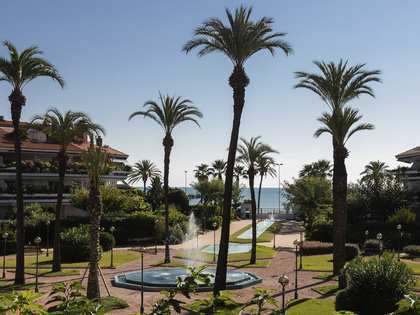 Sant Just Desvern is an affluent town located just 10 minutes from Barcelona with very good links by tram and bus. 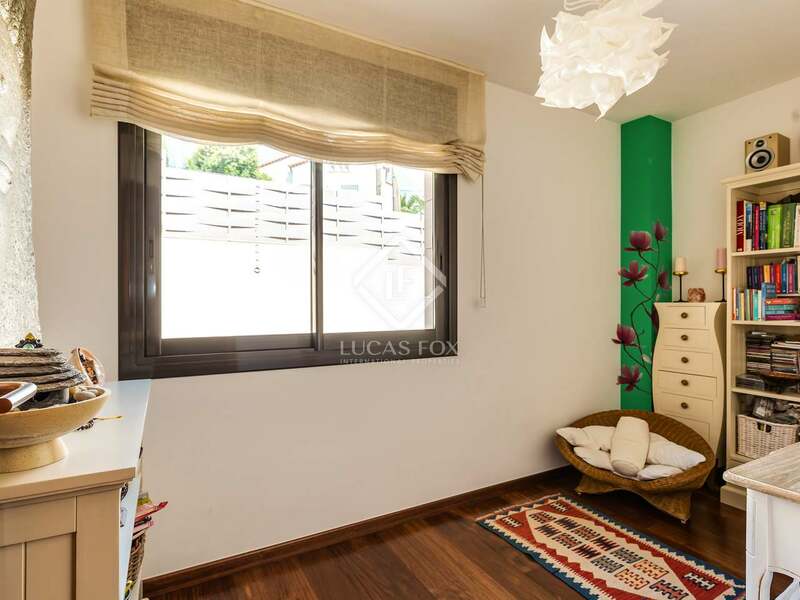 It is close to international schools such as the American School and German school, and provides easy access to ring roads and airport. 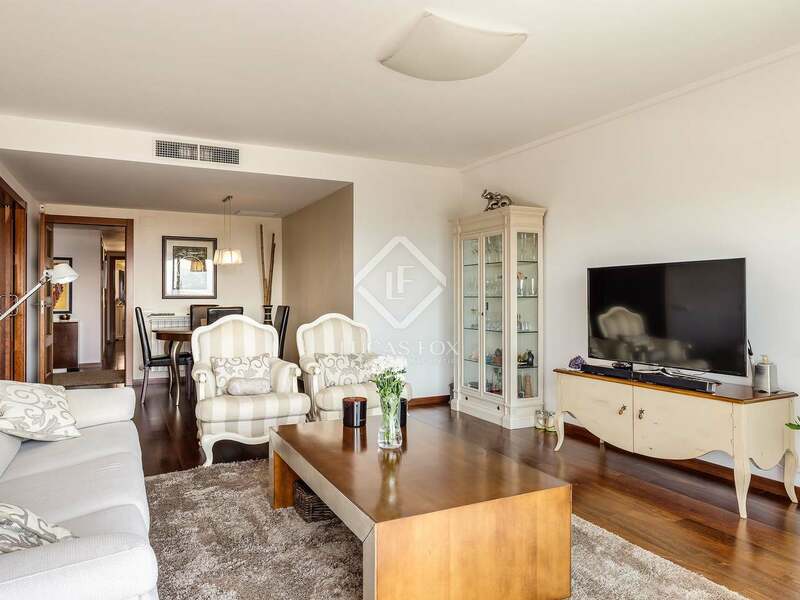 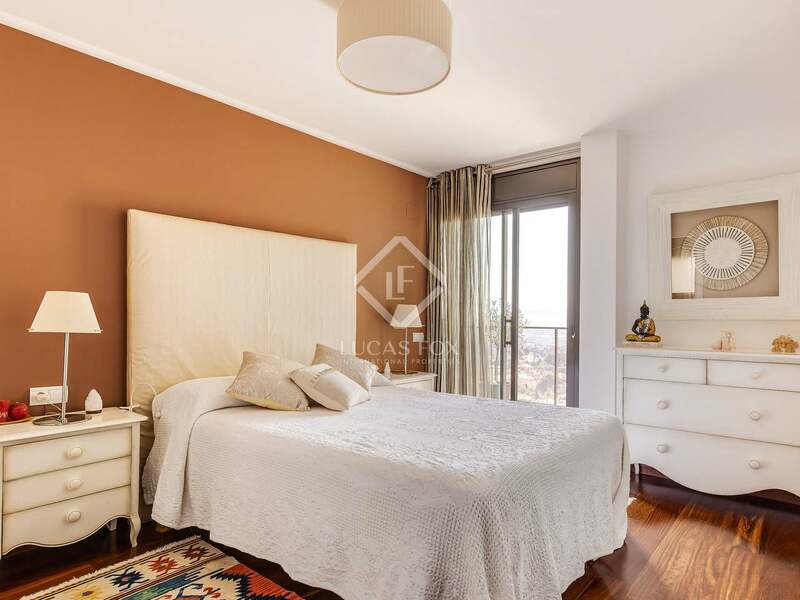 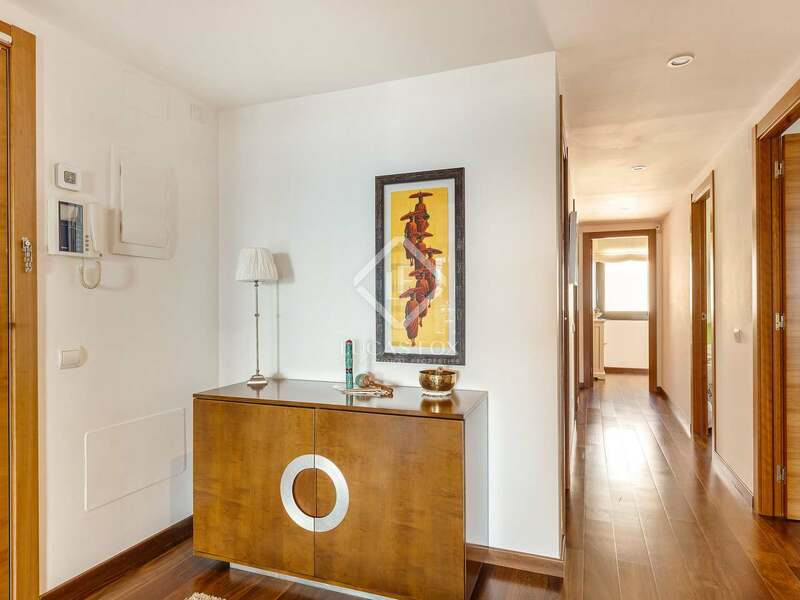 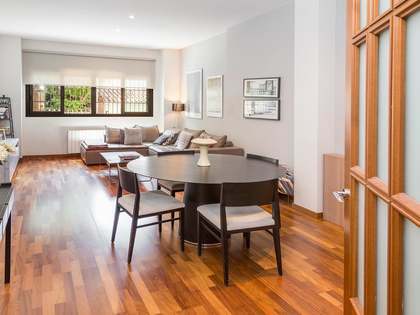 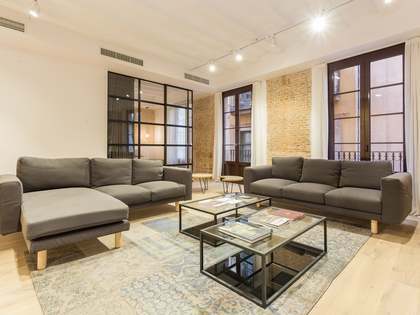 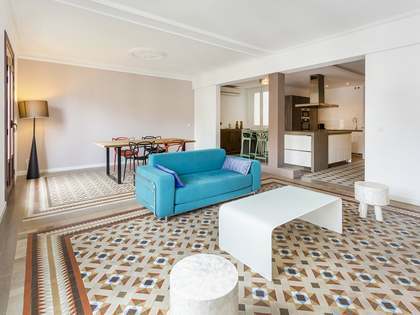 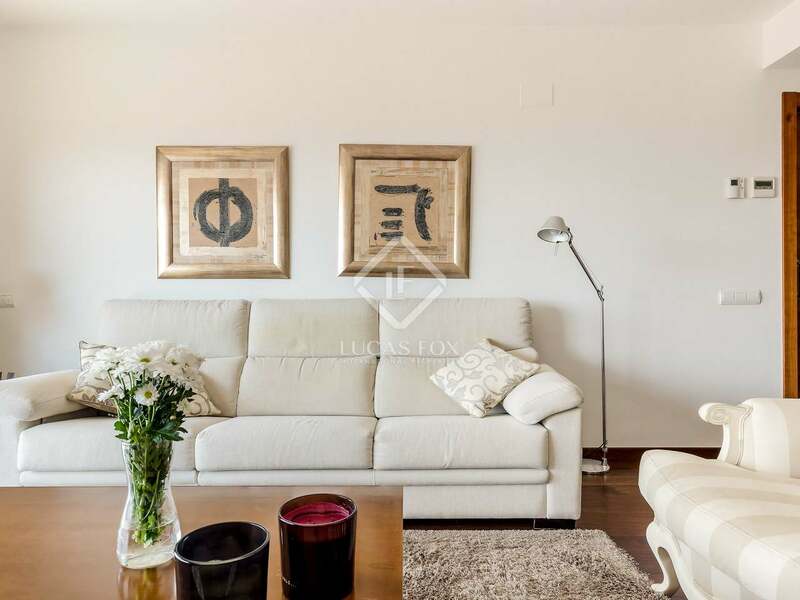 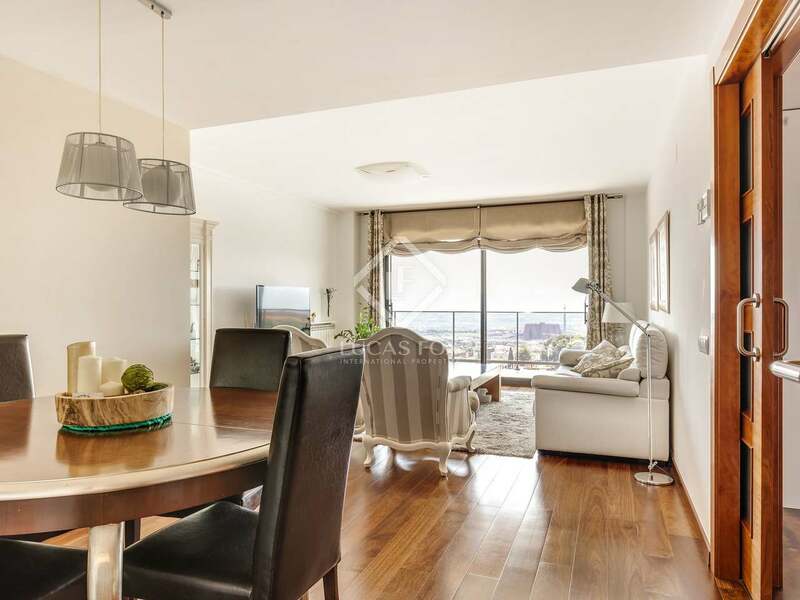 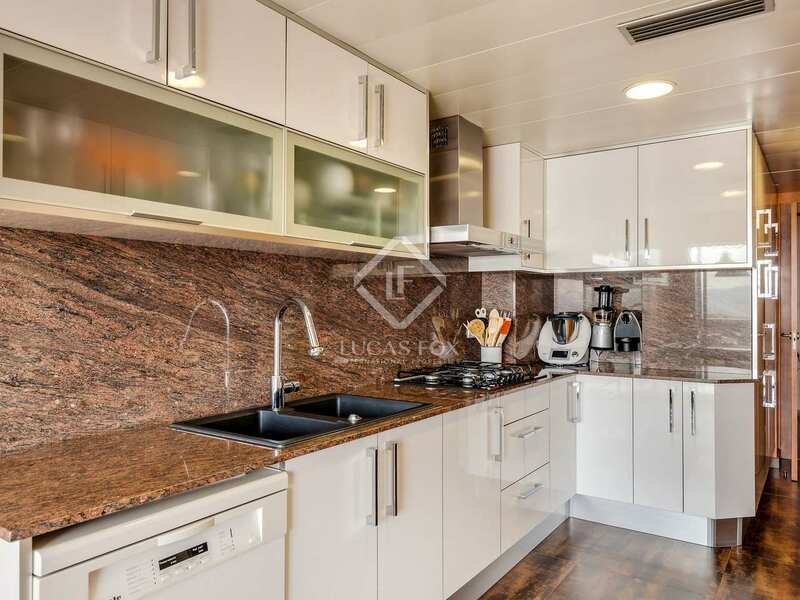 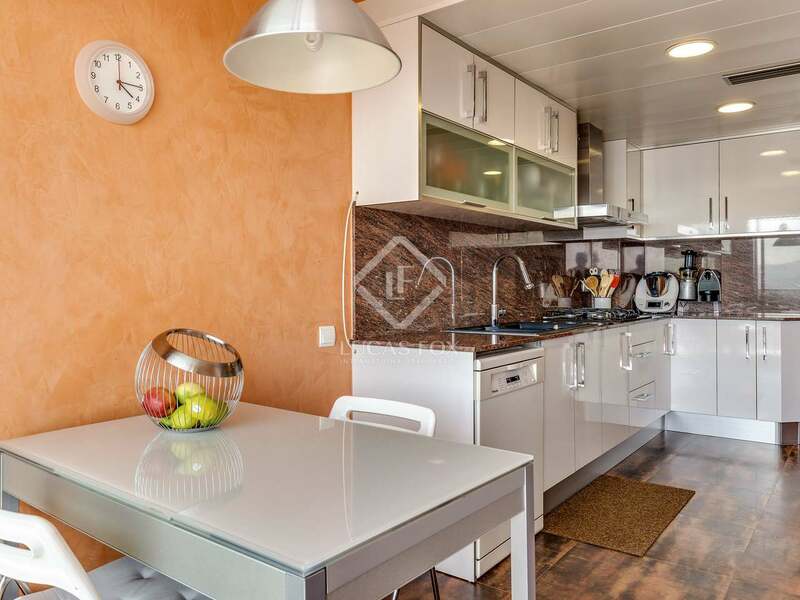 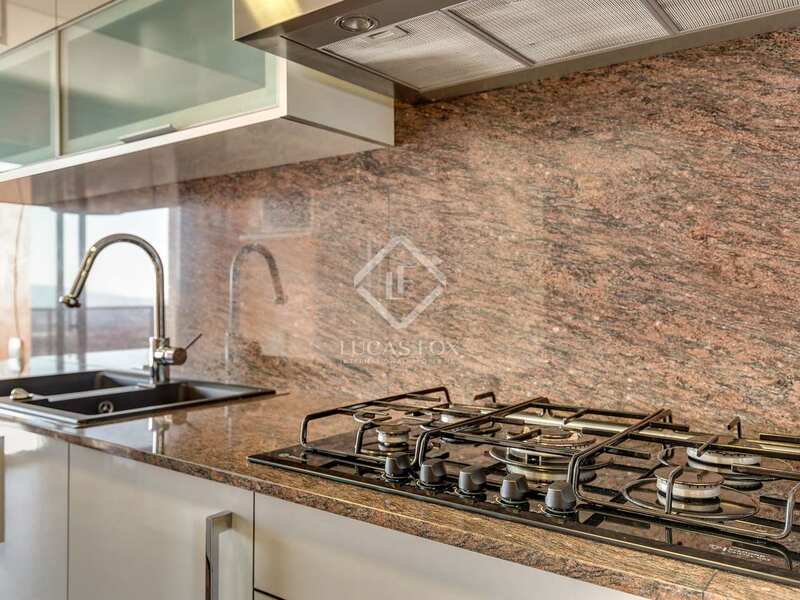 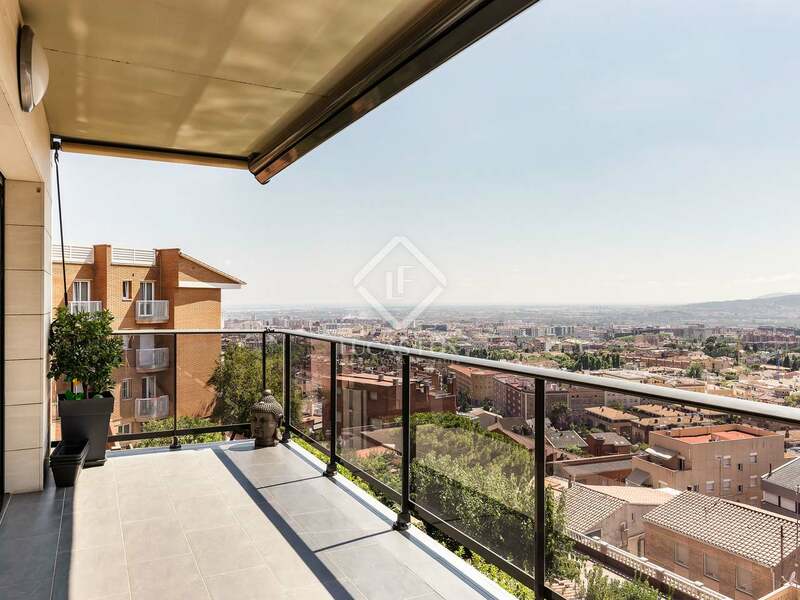 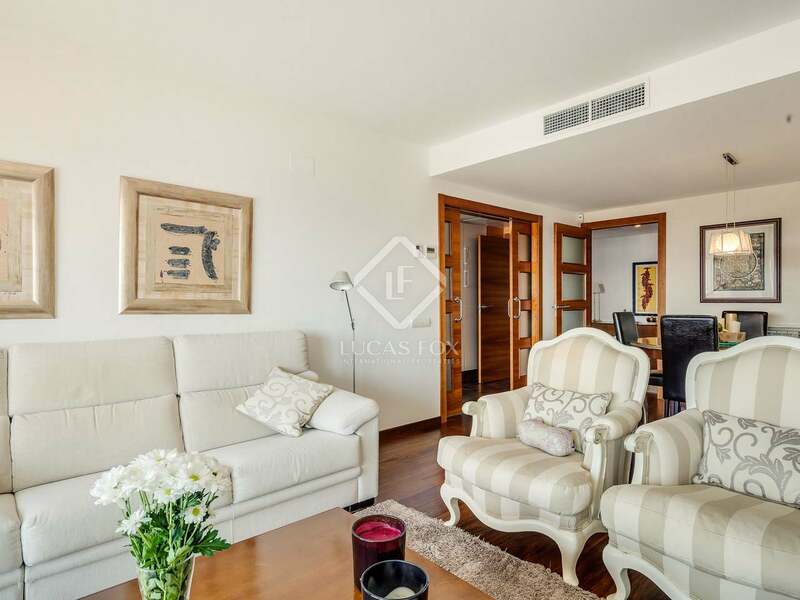 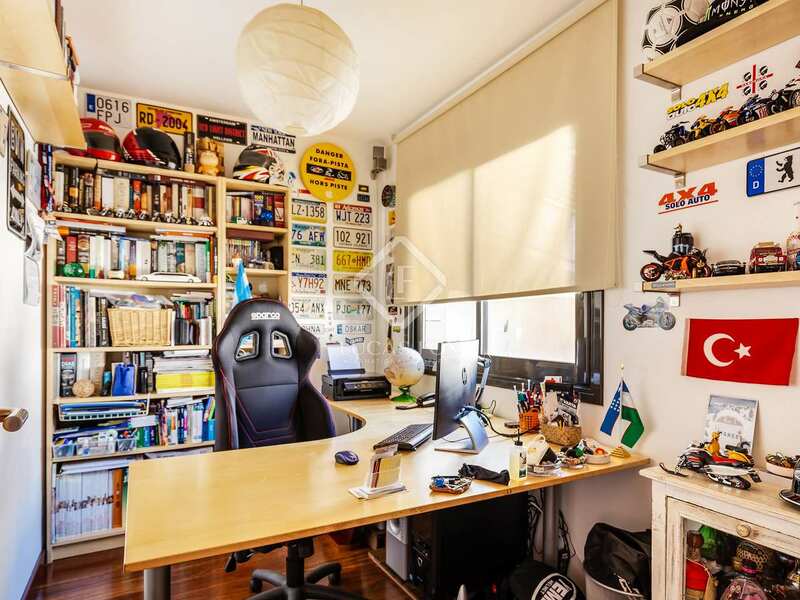 Duplex apartment for sale in Sant Just, Barcelona.